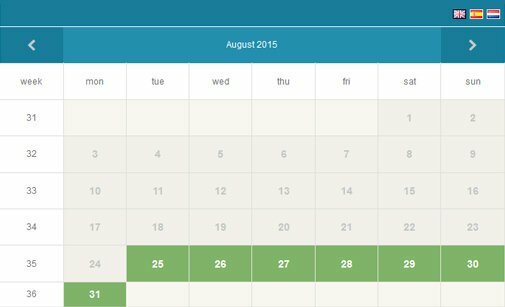 Add a handy room scheduling software to your site and manage bookings online! training and conference rooms, (executive) board rooms, video conference calls, time-limited co-working spaces, etc. Create multiple meeting rooms, add images and description, specify capacity, offer different room layouts, set prices as per duration. The halls can be booked per hour, for half-day or several days. Customers can order small bites and beverages, as well as top-class catering services which should be provided during the meetings. Add as many items as necessary and set item price per attendee. All room bookings are duly listed on a user-friendly dashboard. 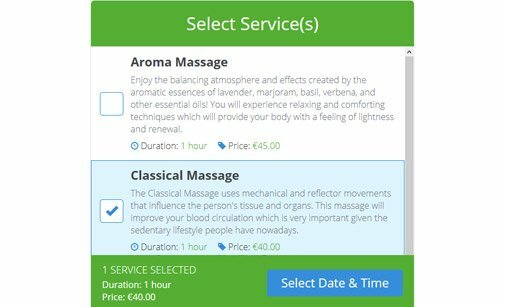 You can add bookings manually, edit and confirm reservations made online, preview client details, and configure payment settings. Our meeting room reservation system can be utilized on all types of mobile devices, which allows clients to make reservations on the go. The Bootstrap layout is available in 10 different color themes. Set default and custom working time for your meeting rooms for each weekday. Specify days-off, morning and afternoon time schedule, custom working time for particular dates, etc. Admins can configure different types of autoresponder messages which will be sent via Email and / or SMS to selected clients and users upon a new room reservation, payment or cancellation. The Meeting Room Booking System allows you to offer a wide range of technical tools and facilities to your clients as an extra service: screen, projector, flipchart, wi-fi, video conferencing, etc. 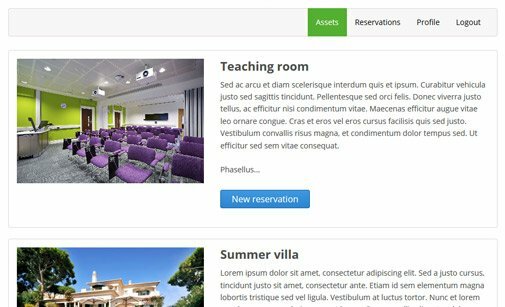 Preview the front-end and back-end systems of our online room booking system. 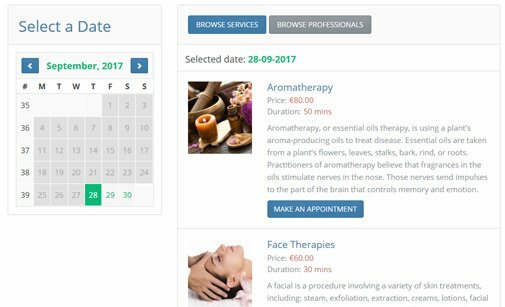 See how our meeting room scheduling software will look on your website. Click the button below to access the admin panel. Review similar PHP scheduling software that can boost your website performance. 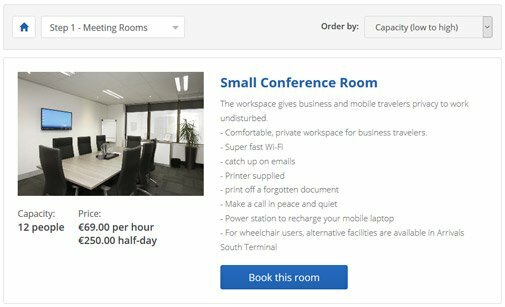 You can buy our conference room booking system with two licence types. Check other clients' feedback on our Meeting Room Booking System! I love my conference room reservation system. 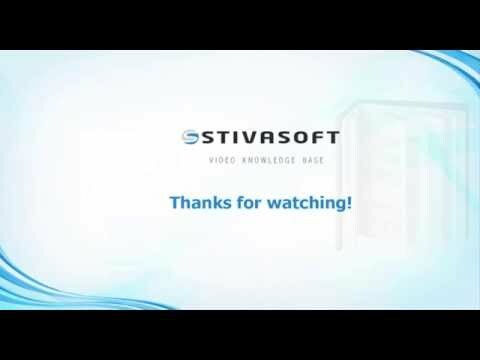 During the setup and installation, the response time to all of my questions was incredibly quick and helpful. 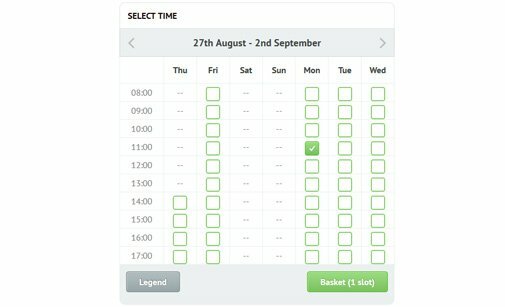 Although the booking system looks quite simple, it's in fact pretty complex and it does a lot of great things. I think it helps to bring my business to the next level. Just a quick note to say 'thank you' for all the help you have given me in setting up my first MySQL / PHP script. Everything is now working, and no complaints from my client. If I had realized how (reasonably) easy the whole procedure was, with your help, I would have done this sort of thing much earlier. I now feel confident in creating more website with your scripts. I am very impressed with your online reservation system. 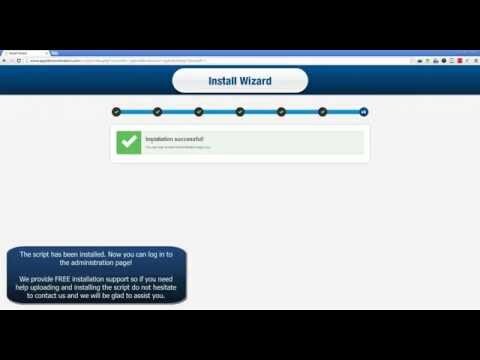 It is easy to use and was very simple to install. Your technical support was very quick in getting back to me and very professional. Your website is very informative, and prices are affordable. The way you are going about your business is excellent. I wish more companies were like yours. 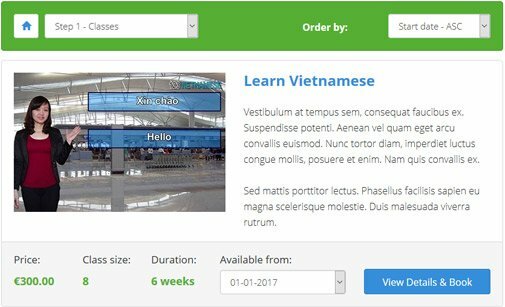 Although I have little knowledge of PHP, I found the room reservation system by PHPJabbers easy to use, simple to install and highly customizable. But most importantly, it blends with the design of my website. If you need scheduling software for your site, these guys have the one! Read more about our Support Service and how we can help you install Meeting Room Booking System.